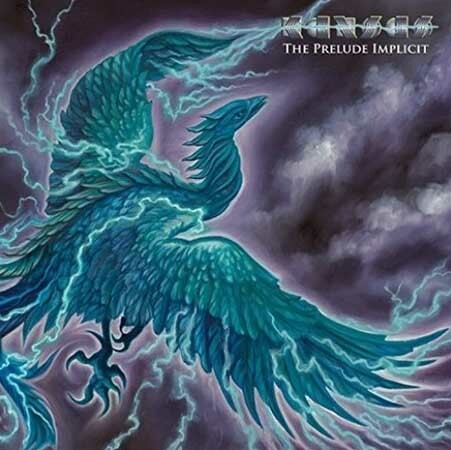 The Prelude Implicit is the fifteenth studio album by American progressive rock band Kansas, released in September 2016. It is their third studio album without founding member, lead vocalist and keyboardist Steve Walsh, who retired from the band in 2014; the other two being 1982's Vinyl Confessions and 1983's Drastic Measures. It is their first album with lead vocalist and keyboardist Ronnie Platt, keyboardist David Manion, and guitarist Zak Rizvi, who started as a co-producer and songwriter before being named a full member of the band. Ronnie Platt – lead vocals, piano on "The Voyage of Eight Eighteen"
Billy Greer – bass, vocals, lead vocals on "Summer"
Текущее время: 06:23. Часовой пояс GMT +4.